Holiday Village, Dunmanus Bay, West Cork, Ireland : 1973, when with Diamond Redfern Anderson, Dublin. 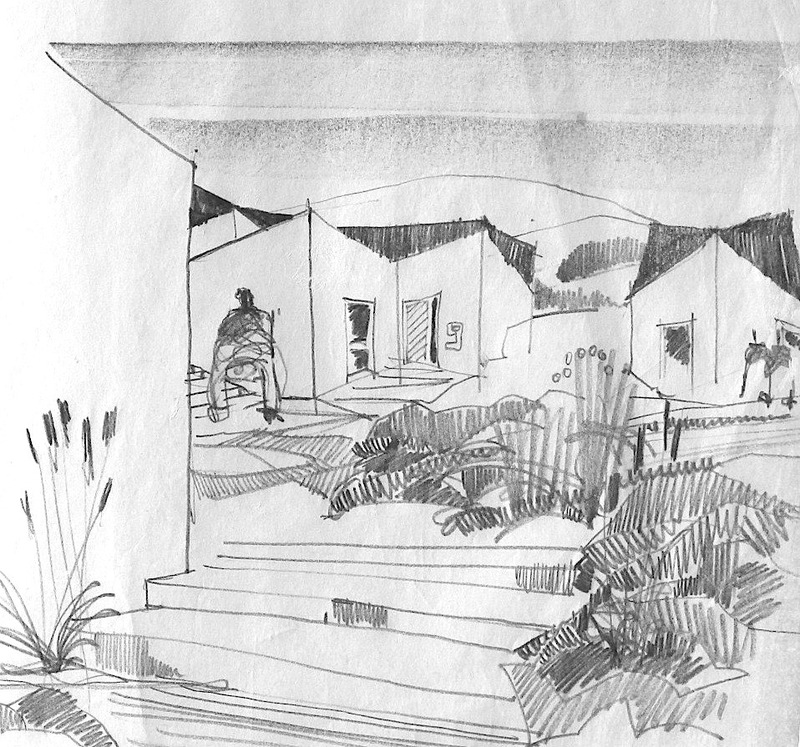 "In about 1973, I first experienced the idea that we could design a project using a model. 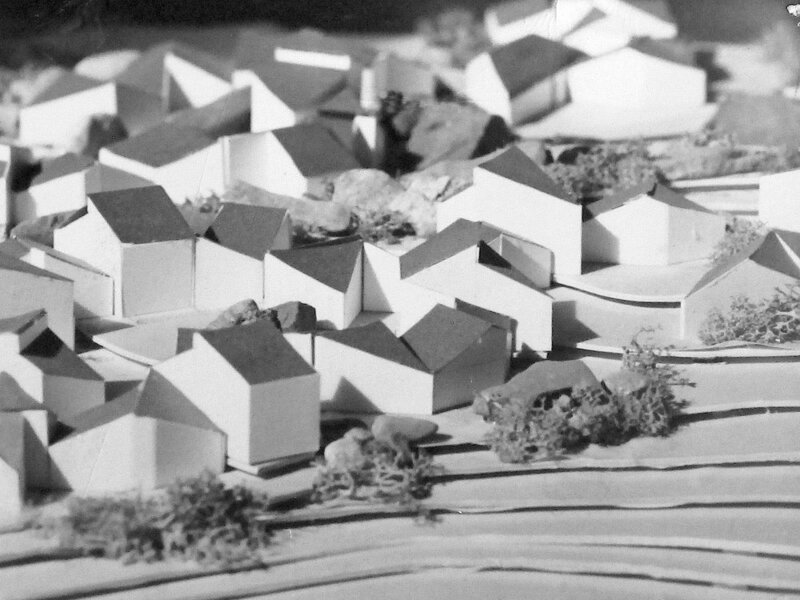 It was a holiday village, never built, on a wild rocky hillside in the south-west of Ireland. We wanted an organic accretion like a traditional Irish cottage cluster, they are called ‘clachans’ in the Irish language – “ a pile of stones’. A morphology like a Greek or Italian village – like the towns of Cinque Terre. We established a set of components in plan, living elements and sleeping elements then, on a topographical contour model of the site, I started to build a model - freehand – making it up as I went along, cascading down the slope of the hill, informal, rocks, courtyards, white wall, black roofs – fantastic. If the project had gone ahead that model could have been the real truth. Nearly twenty years later Frank Gehry got into making models and then digitising their complexity into the computer. I was around Gehry’s office in 1993 and the walls were covered with physical models which preceded the digitisation. Tell me I am wrong, but I do not believe that you can have this process of wonderful ‘chance’ in a computerized design process. To make a model in the computer I suspect you have to know the answer. When I made this model in 1973, we had no idea what the answer would be, it was a creative act." Only two images survive, photo of my model and my sketch.